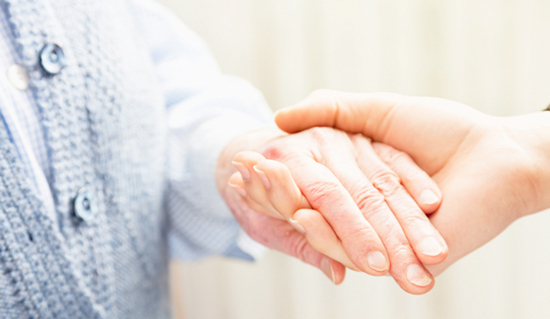 The decision to care for an elderly relative at home is not often one that is made lightly. With a number of different options available for elder care such as nursing homes and home carers, those who decide to care for an elderly relative themselves may do so for many different reasons. Whether you believe that your elderly relative is safer or will be more comfortable in your care than that of others, or if you are choosing to care for your relative at home in order to keep costs low or for other financial reasons, we’ve listed some great tips and advice in order to help you give them the best care possible. One of the main factors that you will need to consider when caring for an elderly relative at home is how accessible the property is. If you are moving them into your own home, you will likely need to make a number of changes in order to ensure that the property is adapted to their individual needs. For example, if your relative is a wheelchair user, you will need to make adjustments to widen doors and adjust the height of electrical sockets and switches in order to make them easier to reach. You will also probably need to consider making some changes to your bathroom for example adding a grab rail, and if your relative has difficulty getting up the stairs a stair lift may need to be installed. When it comes to furniture, you may find that your elderly relative will have some special needs and requirements. You can purchase furniture that is also durable medical equipment such as home hospital beds, reclining armchairs, and wheelchairs from a number of suppliers both online and in store, or you could even speak to your relative’s physician in order to find the best place to purchase what you need. Looking after your relative at home is likely to cause significant changes to your lifestyle. It is a good idea to split the care between two or more people whenever possible in order to ensure that you get a break and are able to spend some time to yourself or with others. If your relative is in need of around the clock care or special medical care you may also need to employ the services of home help staff or visiting nurses who will be able to administer medication or change dressings if needed. Caring for your elderly relative is often made up of a number of small things that you can do. For example, keeping a pitcher of water full for them and encouraging them to drink regularly, setting their clothes out for the day, and avoiding displaying mirrors around the home if they are prone to getting confused. If you need advice on how best to care for your relative, it is a good idea to speak to their doctor. Do you care for an elderly relative at home? We’d love to hear from you in the comments.